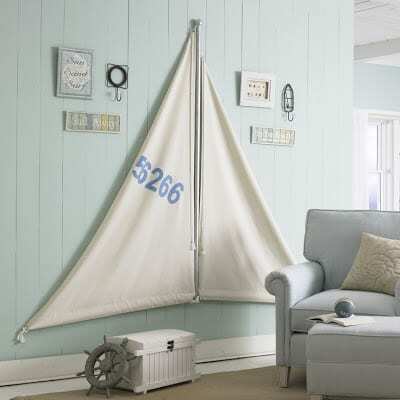 Sailboats have been a decorating trend for quite a long time. 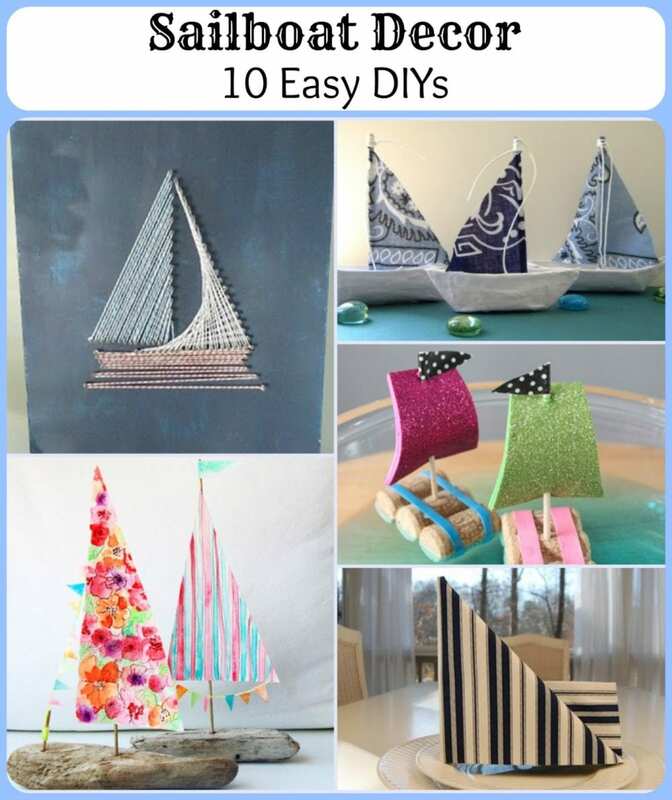 Here are 10 sailboat DIYs from some of my favorite creative bloggers! While the popularity of using sailboats has ebbed and flowed (pun intended!) over the years, it’s nevertheless a timeless classic that decorators return to again and again. 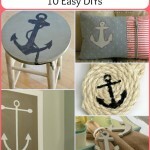 You almost can’t have a nautical theme without at least one sailboat element! 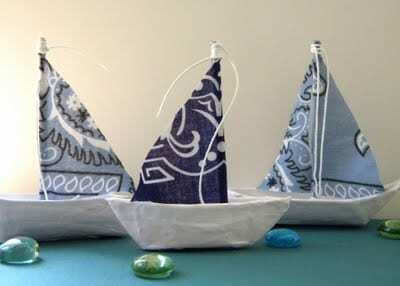 These bandana sailboats, in such a soothing color palette, make a cool Summer sailing vignette! 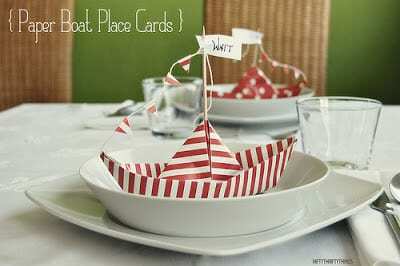 These paper boat place cards can double as a party favor that your guests can take home! I’m a huge fan of hanging unique items on walls. This large sail is a perfect example! 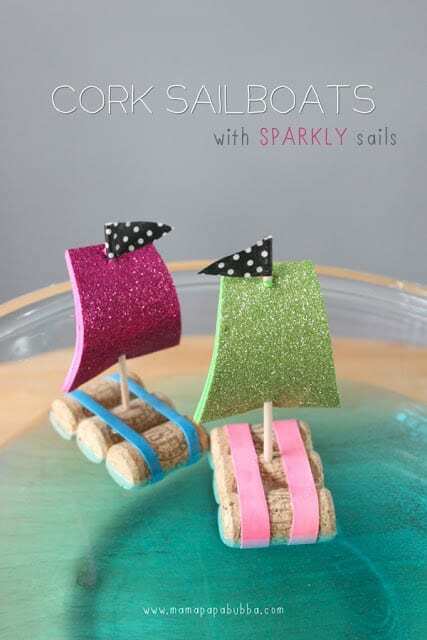 Your kids can help make these floating sailboats. 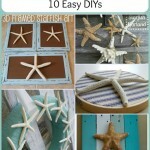 These would look great as decorations for a party! 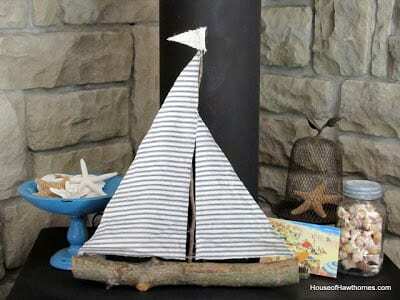 This adorable sailboat began with a simple tree branch and a twig! 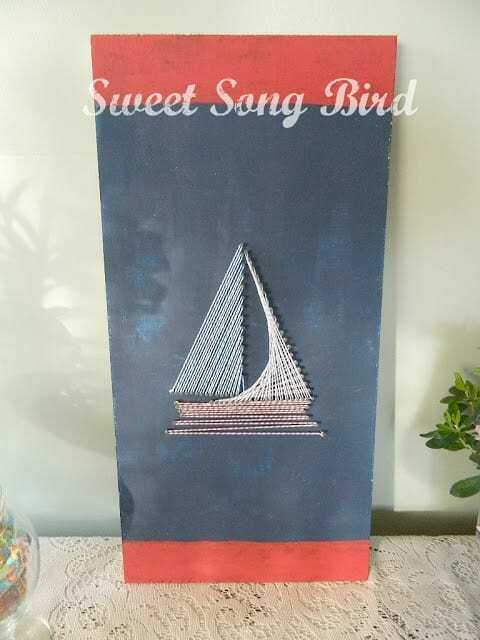 Make your own sailboat art with string! These boat ornaments are sweet! 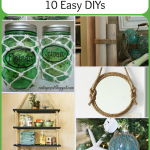 Make them for a mantel vignette, party favors, or your Christmas tree! A boat from driftwood? You can’t get more nautical than this! Begin your nautical tablescape with these sailboat napkins at each place setting! 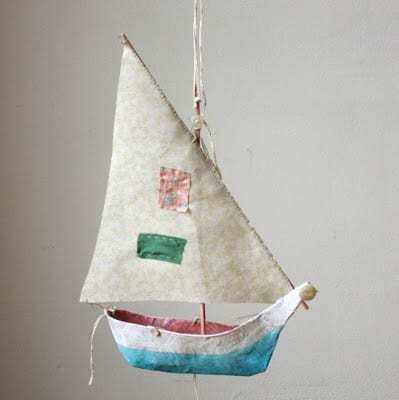 I love this paper maché boat! 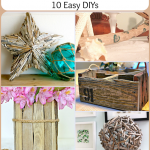 Laura, what a fun post and so many cute ideas! 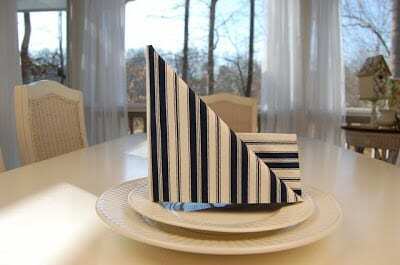 Thanks for including my sailboat napkin fold! You’re welcome Susan! Glad you enjoyed the post, and thank YOU for a great tutorial! Thanks Theresa! 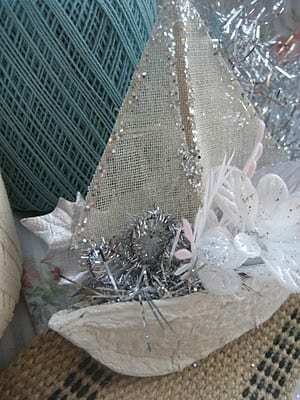 I want to try the paper maché boat too – it’s so darn cute! Super cute ideas Laura! I’m loving your nautical series! I just shared it on my FB page. 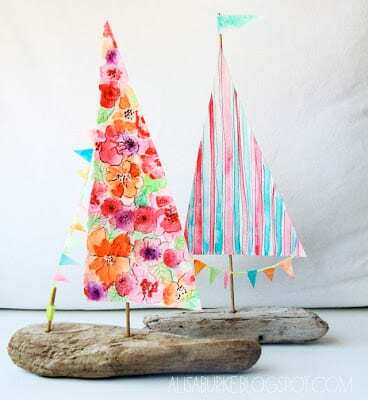 Thank you so much for including my branch and twig sailboat! Such a fun, summery round-up! You’re welcome Pam! I fell in love with your sailboat the minute I saw it on Pinterest! 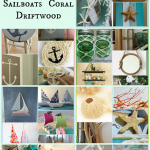 I have a sailboat fetish… thanks for sharing it! LOVE all these pretty boats! Ooohhh, then I’m so happy I put together this collection for you! Enjoy them, sweet friend! I agree Sandy – it’s perfect, isn’t it? 🙂 Just click on the caption underneath the photo of that picture. 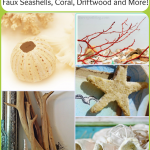 It’s a clickable link which will take you to the complete tutorial and supplies list!